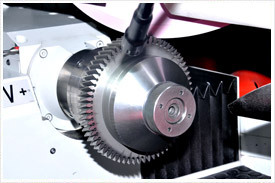 An array of cutter re-sharpening machines from top of the line machine makers is lined up at NAW. Finest machines from makers like Gleason, Hurth and Kashifuji are available which includes the latest like Hurth SRS 410 Shaving cutter Re-Sharpening. NAW is one of the few companies where all kinds of cutters Shaving, Shaping, Hobs or Broaches can be re-sharpened in house.